President Trump’s national security team has put the focus more on toppling the Iranian government than striking a new deal with it. 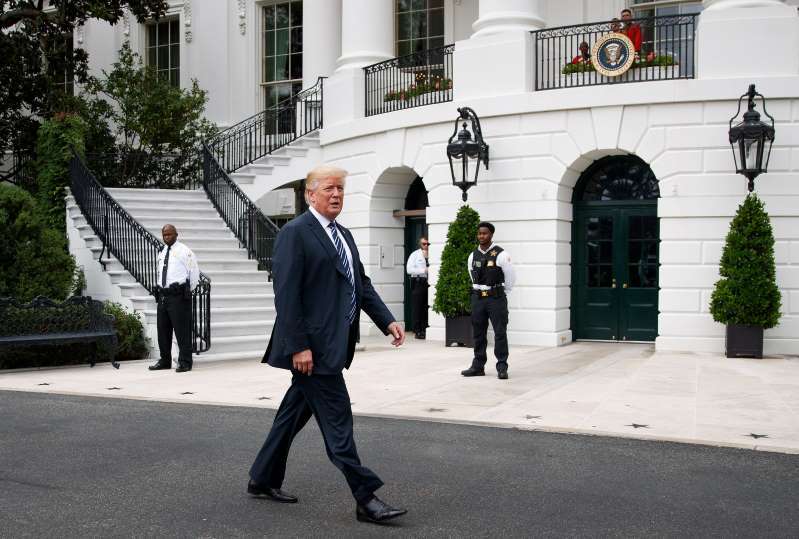 President Trump’s vituperative tweet against Iran late on Sunday showed his determination to use the same approach that he took to engineer a diplomatic breakthrough with North Korea. But Mr. Trump’s top advisers are far more united in their hostility to engaging with Iran, and Iran is far less likely to bend to such pressure. Mr. Trump’s threat that Iran would “suffer consequences the likes of which few throughout history have ever suffered before,” delivered before midnight in all capital letters, succeeded in changing the subject after a week of bad headlines about his meeting with President Vladimir V. Putin of Russia. But it only deepened questions about the long-term direction of Mr. Trump’s Iran policy. While the White House on Monday did not rule out direct talks between the president and Iran’s leaders over its nuclear program, Mr. Trump’s hawkish national security team has put the focus more on toppling the Iranian government than striking a new deal with it. [post_ads]A few hours before Mr. Trump’s tweet, Secretary of State Mike Pompeo vowed in a speech that the United States would work with the Iranian people to undermine their clerical leaders, whom he described as “hypocritical holy men,” guilty of looting their country to enrich themselves and finance Islamist terrorism around the world. The White House scrambled to lend a veneer of coordination to Mr. Trump’s outburst. Officials said it had come after consultations with the national security adviser, John R. Bolton, and in response to statements by Iran’s president, Hassan Rouhani. A senior administration official said it augured a “more aggressive, comprehensive approach” to Iran. Eight months later, Mr. Trump accepted Mr. Kim’s invitation to meet, and after spending a few hours with him in Singapore, Mr. Trump declared that he and Mr. Kim had ended the nuclear crisis with North Korea. He has stuck to that assessment despite the fact that North Korea pledged to do nothing beyond what it has long promised, and that subsequent negotiations have bogged down in mutual recrimination. When Mr. Trump withdrew the United States from the Iran nuclear deal in May, he told aides and foreign leaders that his policy of maximum pressure had forced Mr. Kim to the bargaining table, and that a similar policy of overwhelming pressure would enable the United States to extract a better deal from Iran. He has even taken credit for what he says are changes in Iran’s behavior in the region since he pulled out of the deal — an assertion that baffles Iran experts, who say there is no evidence of changes in how Iran is operating. Experts and former officials who have negotiated with Iran listed at least three reasons Mr. Trump would find it difficult to replicate his North Korea breakthrough with Iran. First, Iran’s leadership is more complex and multifaceted than the one-man state of North Korea, making it harder for Tehran to reverse course like Mr. Kim did, and reach out to Mr. Trump. Second, there are well-financed, powerful constituencies at home and abroad — like the Israeli government and the American Israel Public Affairs Committee, a Washington-based lobbying group — which will mobilize against any new diplomatic overture to Iran. Third, Mr. Trump’s unilateral decision to abandon the 2015 nuclear deal gives the Iranians little incentive to negotiate with the United States, especially since the other five signers — Britain, France, Germany, Russia and China — are still adhering to it. “The bet they’re making is that all those countries will knuckle under, and that Iran will come crawling back to the table,” said Jake Sullivan, who took part in secret talks with Iran in 2012 as an aide to Secretary of State Hillary Clinton that led to President Barack Obama’s deal. But Mr. Sullivan said the Trump administration had set an impossible standard for any successor agreement: that it settle all of Iran’s other issues in the Middle East, from Syria to Yemen. “Their entire strategy is the pressure itself, with the hope that it brings down the government,” Mr. Sullivan said. For more than a decade, Mr. Bolton advocated “the overthrow of the mullahs’ regime in Tehran.” But he recently told Voice of America that leadership change was “not the objective of the administration.” Mr. Pompeo likewise stopped short of calling for regime change, though he did not mention diplomacy in his speech Sunday at the Ronald Reagan Presidential Library in Simi Valley, Calif.
By contrast, Mr. Pompeo is heavily invested in diplomacy with North Korea, where, as C.I.A. director, he helped lay the groundwork for the Singapore summit meeting and, as secretary of state, has led the negotiations with Mr. Kim’s subordinates. Mr. Bolton took a lower profile on North Korea, in part because he nearly sabotaged the meeting by declaring that the United States should use Libya as a model for ridding North Korea of its nuclear arsenal. On Iran, however, Mr. Bolton has helped set the tone. On Monday morning, he issued a statement that was every bit as bellicose as Mr. Trump’s, except for being in lowercase letters. Even if Mr. Trump overcame the objections of his staff to pursue a diplomatic opening, experts said it was unlikely Iran would be receptive. His decision to pull out of the nuclear deal has strengthened the hand of hard-liners there. Leaders like Mr. Rouhani, who was once viewed as a moderate, have become more hawkish. Iran, Ms. Maloney noted, reacted relatively calmly to Mr. Trump’s tweet. The country’s leaders, she said, believe that the president is trying to bait them to breach the nuclear deal, which they do not want to do. But his threats are rattling the Iranians, who worry that Mr. Trump’s aides might goad him into a confrontation.